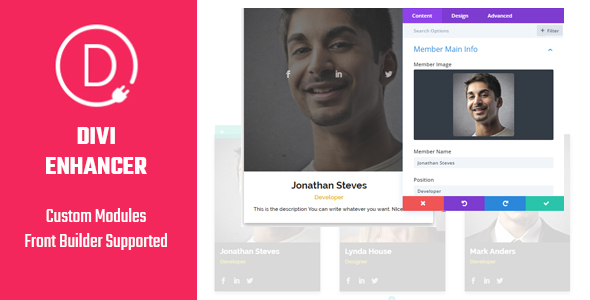 Divi Enhancer adds custom modules to DIVI theme or DIVI Builder plugin to enhance the capabilities of DIVI and gives you tools to design and develop a beautiful website without innecessary effort. All modules works smoothly in both sides, admin and front builder and keeps the DIVI structure, just as the default modules. Divi Enhancer is fully supported. Need a module? I currently accept ideas. Greetings!